You've got questions… I've got answers. There were a lot of questions in the #AskWardee queue about sourdough, so I decided to answer all of them together now. Is sourdough considered a nutrient-dense food? Do you still need to avoid gluten and wheat if your gut is healed? How do you know it's ok to try sourdough after having a gluten intolerance? Is it ok to feed your starter with flour that was milled but is now older and may be going rancid? 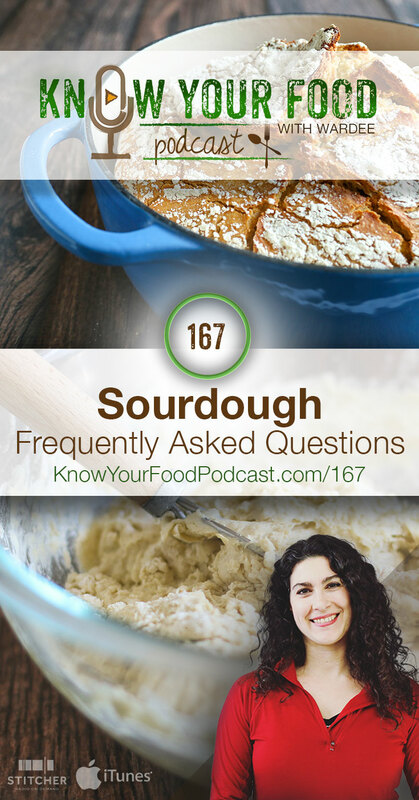 Below, you'll find the audio, video, and print version of my answers to these sourdough frequently asked questions. If you're interested in sourdough, be sure to grab my free sourdough starter instructions! In 5 minutes, you could have a starter beginning to grow and flourish in your very own kitchen — that will serve you with delicious and healthy baked goods for a lifetime or more! Can you take your starter straight out of fridge (w/o recent feeding) and add it to fresh ground wheat? Will it work? Yes. I do this after taking a sourdough starter break (where it's stored in fridge). Get it out, feed it. After 12 hours, if it’s bubbly, it’s ready to be used. If you want to see more activity, feed again before using. A starter stored for months won’t bounce back as quickly as one stored for days or weeks. Hmmm…. not really. It’s a healthy part of a nutrient-dense diet but it’s not one of the superfoods like liver, fermented foods, butter, cream, etc. Many experts recommend a permanent avoidance of gluten and grain. If your gut is healed, do you personally feel this is necessary? I think I know the answer but would enjoy hearing you discuss it! This is not one-size fits all. Some may avoid it for their entire lives because if they start again, symptoms return. For others, light-moderate consumption works and they still maintain a healthy gut. Our experience has been that we can return to light-moderate consumption. That doesn’t mean it works for all! I’d definitely say that one should sprout and/or sourdough for the best chance of not having a recurrence of symptoms or sliding backward on healing. And take it slowly… Eat a small amount and watch for a few hours to a few days before maybe having more (or not). Is soaking still less effective even when using an acid medium, than souring or sprouting? I have a soaked kamut tortilla recipe that we really like. It does only use 1 T of ACV for the 3 cups of kamut used. Yes, soaking is still less effective. (And soaking often involves an acid, except with nuts and beans.) You might try using 1 tablespoon of sourdough starter in your recipe to get the benefits of sourdough in a recipe you like. 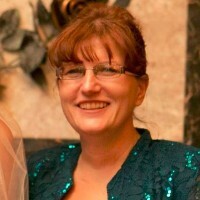 How did Wardee know her daughter could eat the gluten sourdough bread? My daughter is gluten sensitive-no celiac but afraid to try anything with gluten because she developed so many food allergies. She got some treated (natural method) so she can eat most things now but dairy, gluten, new development of stomach bothering her after coconut anything now. So how do you know it's okay to try? When you mill your whole wheat or einkorn flour and have leftover flour, do you leave the leftover flour at room temperature and use that to feed the starter everyday? I understand that it immediately starts to go rancid after it is milled. How many days can I leave it out of the refrigerator or freezer? I would think it is better to have it at room temperature to feed the starter rather than refrigerator or freezer temperature? How many? A week? Hard to know. You’re not really using it for health at this point, but for a food source for the starter. So I’m not as concerned with how long as I would be if it was the bulk of the flour for the recipe. Check out this past #AskWardee, where I shared my daily sourdough routine. It will help! I am having an issue with too much fiber even with eating plenty of cultured food. Can I feed the starter with white flour or sifted whole grain? Will the starter will work well with this kind of flour on 2 feedings a day? Yes, you sure can! And it will work great! I have a starter from Nov 2015 that’s been in the fridge. Now it’s covered with a thick black liquid. Is it ok? What should I do with it? Yes. It’s hooch. It gets blacker over time. It’s the acids produced by the organisms. Pour it off, feed your starter, and revive it! I just recently read your sour dough starter segment and am very interested this. I’m starting to have tummy troubles and nausea. I’m not sure if the thyroid pills I’m taking are causing it or not. I have been grinding my wheat kernels into flour. My w.w. Bread recipe calls for an additional 3 tablespoons of gluten flour and dough enhancer and 3 tablespoons of rapid yeast which seems like a lot. If I use a sour dough, would I have to use all that gluten and yeast?